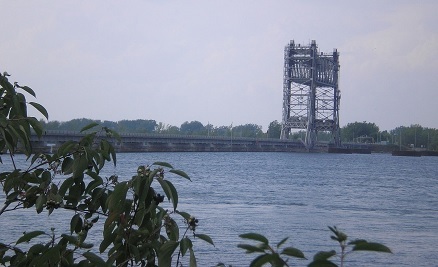 MILIEU has been monitoring the passage of eels at the the Beauharnois Power Dam for the past 20 years. 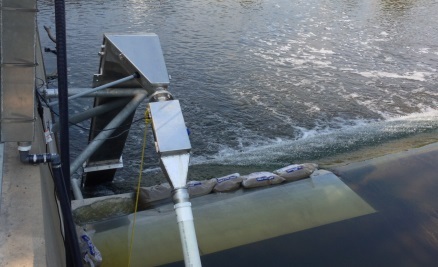 Two eel ladders and two photoelectric eel counters are in place at the Power Dam, one of each at each end of the Dam. The two photoelectric eel counters were developed and supplied by MILIEU to record eel passages. 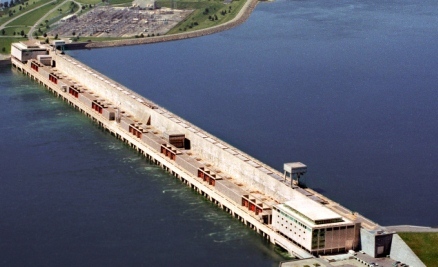 MILIEU participated in the design and construction of the eel ladder at the Robert Moses Generating Station on the Saint Lawrence River. MILIEU has also been responsible for the operation, maintenance and monitoring of the Eel-Passage facility during the eel migration period since 2006. 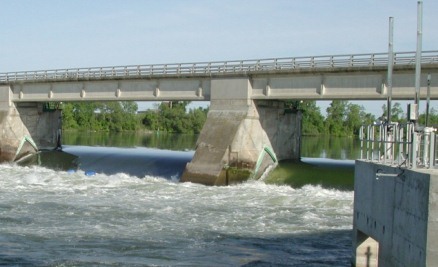 At the Chambly Dam, on the Richelieu River, a plastic moulded eel ladder was installed in 2002 by MILIEU on a concrete cut-off. 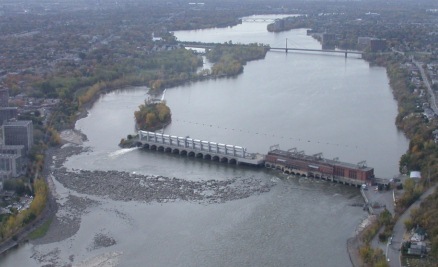 MILIEU has been monitoring the passage of eels at the Chambly Dam for over 10 years. A photoelectric eel counter developed and supplied by MILIEU was also installed to record eel passages. 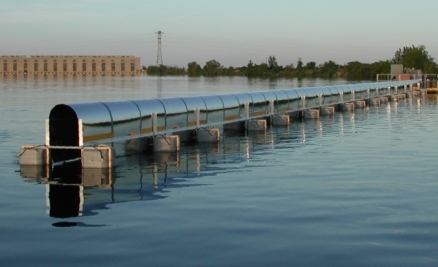 In 2017 and 2018, Hydro-Québec mandated MILIEU to install an acoustic telemetry array in the Beauharnois Canal to monitor downstreammigrating American eels. 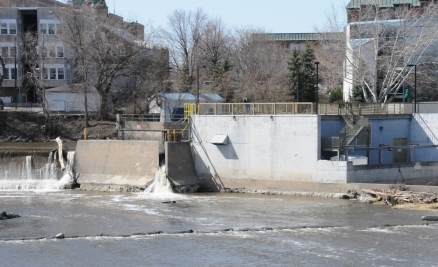 MILIEU was given the mandate by Parks Canada to design, construct, and install an eel ladder at the Saint-Ours Dam located on the Richelieu River. MILIEU monitored the passage of eels at the the eel ladder for three years. 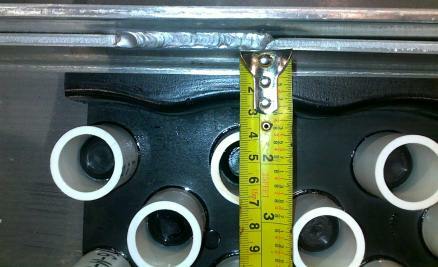 Furthermore, MILIEU worked at the new multi-species facility to optimize its operation. 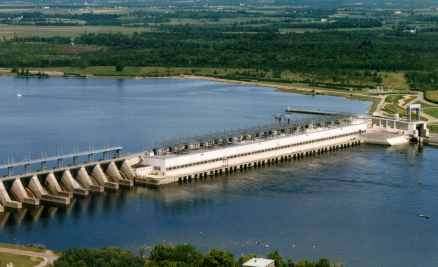 Along with MILIEU, Ontario Power Generation (OPG) designed a strategy to mitigate the impact of downstream migrating adult eel mortality in hydroelectric turbines. 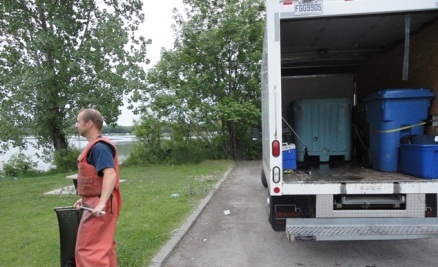 Adult eels are fished in St-Francis Lake, transported by truck and released downstream in the St-Louis Lake. 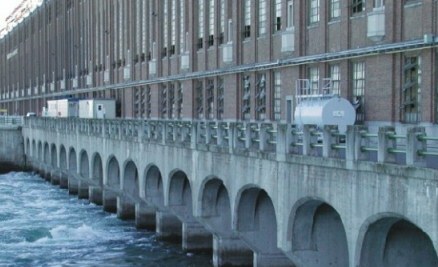 Periodic shutdowns of the generating station are performed to help with the downstream migration of adult American Shad. The study also aims at assessing a sound barrier on shad behavior. The barrier is installed yearly and the accoustic echoes from scanning sonars are used to calculate an abundance index. 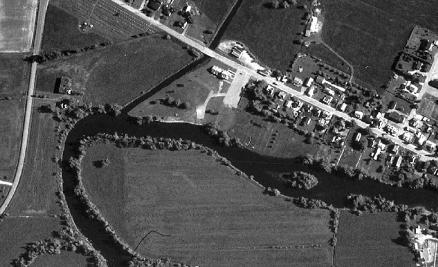 MILIEU works with the Institut de Recherche d'Hydro-Québec to verify if downstream migrating American Shads can be guided away from the Des Prairies River entrance. The use of alternative ways allows the shads to bypass the hydroelectric facility downstream and thus increase survival rates. 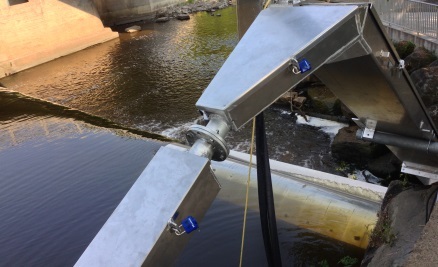 MILIEU managed a project for the design, construction, and installation of a flow-through screen barrier on the Morpions Stream. The previously unimpeded Morpions Stream provides a large spawning and rearing habitat for Sea Lampreys, who have a sizable impact on the Lake Champlain ecosystem. 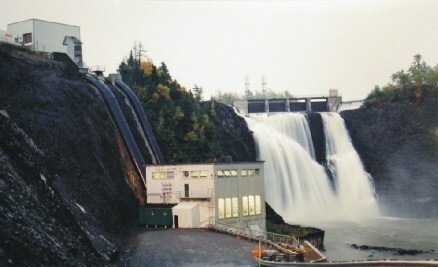 MILIEU designed and fabricated eel ladders on the Raquette River for Norwood and Norfolk Hydroelectric Stations and for Raymondville, East Norfolk and Yaleville Dams in New York State. 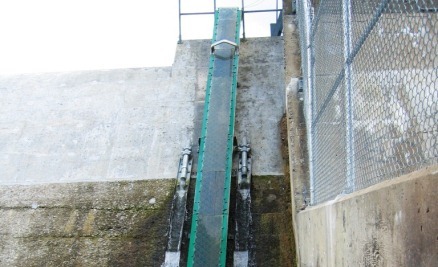 MILIEU designed and fabricated eel ladders for the Lurray Hydroelectric Station in Virginia, for the Warren Dam in West Virginia, and for the Millville Dam in West Virginia. The survival of smolts going through the Mitis-1 Power Dam was assessed by MILIEU. The smolts were tagged, released into the turbine and collected downstream. 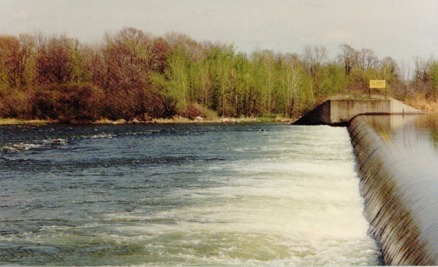 The Carillon Dam impedes the upstream migration of juvenile eels in the lower reaches of the Ottawa River. Traps and PIT tagging were used in order to to assess the density and behaviour of the eels. In 2004, Hydro-Québec and MILIEU conducted a study in the Les Cèdres Generating Station intake canal to assess the potential of three types of light sources to guide adult eels over long distance in the St. Lawrence River. The Lake Sturgeon is a closely watched species because of its precarious status and its historical importance to the commercial fishing industry. MILIEU conducted a study to determine if the west of Lake St. Louis was used by sturgeon as a spawning ground. Elver-specific substrates created by MILIEU was used by Dominion North Carolina for their eel ladders on the Roanoke River. MILIEU designed and fabricated two eel ladders on the L'Achigan River, in the Lanaudière region, Quebec. One of them is located in downtown Saint-Lin and is equipped with an electronic eel counter. MILIEU designed and fabricated two eel ladders on the L'Achigan River, in the Lanaudière region, Quebec. One of them is located in L'Épiphanie and is equipped with an electronic eel counter. In 2013, MILIEU designed and performed a study for the City of Saint-Hyacinthe. 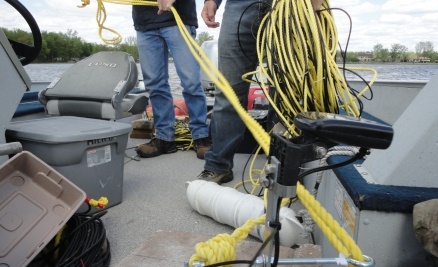 Two traps were set-up to investigate eel presence in the Yamaska River. 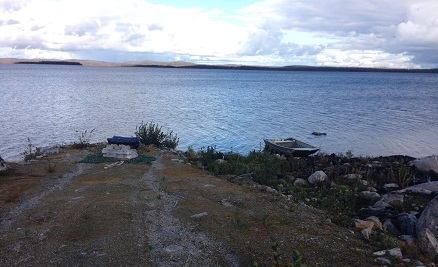 In 2015, MILIEU installed scanning sonars in Cabot Lake in order to detect spawning Lake Trout.